Lions and tigers can be tamed and made to perform. Then why not smaller cats? Julchen has already learned to stand upright like a little tin soldier. It only took some patience and some special treats. Iko-Chan is still resisting doing something as undignified as standing on her hind legs. Could Siamese cats have more willpower than lions and tigers? Cute. 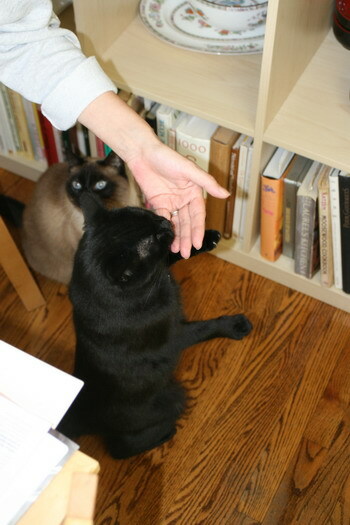 As for the Siamese, they’re just stubborn. Tell me about it – stubborn as hell and proud of it. It must be in their genes.